Finding skilled workers is one of the biggest challenges manufacturers face today in southeastern Wisconsin. That’s why Versevo is thrilled to support Schools2Skills™, a workforce development program run by the Waukesha County Business Alliance. Schools2Skills sets up tours for middle and high school students to visit Waukesha County companies. Its mission is to expose them to career opportunities in manufacturing, and to show them that a career in manufacturing rewards those with highly technical skills with opportunities to excel and succeed. 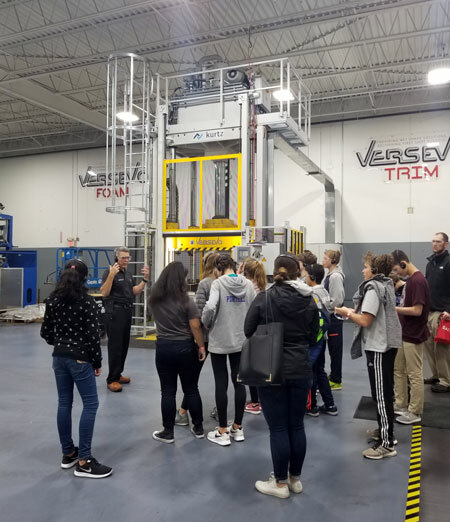 Nearly 60 eighth graders from Wisconsin Hills Middle School in Brookfield recently toured Versevo’s Hartland facility, where they learned about mold design, metal casting and machining complex parts. “Both groups were very attentive,” recalled Versevo president and CEO Terry Moon. “We really enjoyed having the opportunity to influence their thinking about manufacturing at such a young age,” he added. At the beginning of the tour, Moon told students his story: How he attended a four-year college, but only completed two years there. Instead, he went to technical school to become a journeyman wood patternmaker. After working in the shop and sales for Nelson Pattern Co., he started his own company, Versevo, in 1994. Today, it employs over 50 team members, providing tooling, casting and machining for world-class manufacturers like Bombardier Recreational Products (BRP), Caterpillar, John Deere, Mercury Marine and Tesla. “As you can see, if you have technical skills, you have multiple career paths available to you. The key is to pick something you’re passionate about,” he counseled the visiting students. “You need to be excited to come to work each day, year after year. I still love coming here each morning,” he added. Versevo is one of 26 company tours the Alliance will organize and manage this year. 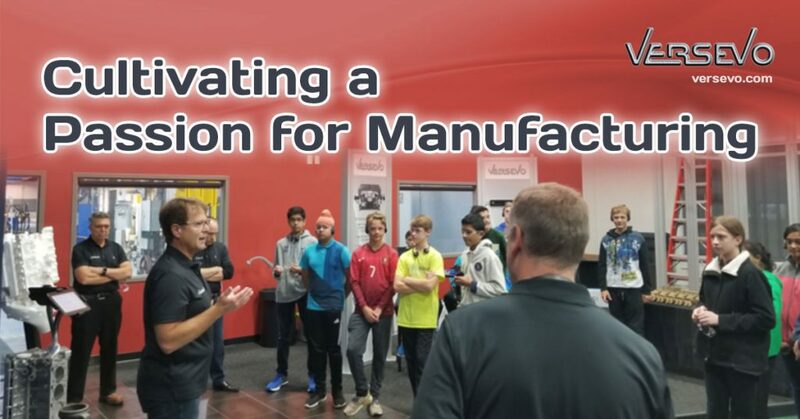 “We want to show students that there are many good jobs and opportunities available in Waukesha County, and that manufacturing is a viable career path for them,” explains Suzanne Kelley, president and CEO of the Waukesha County Business Alliance. To learn more about Versevo’s commitment to workforce development, read how Arrowhead High School students tackled several real-world engineering challenges at Versevo.